Hey friends! It's that time again. This is the monthly series where I sit down with you and share the behind the scenes deets about what it's like to run a food blog. You get to see it all here. The good, the bad, and (sometimes) the ugly. I'll start by sharing what TEMs income and expenses are. Even though it is next to free to start a blog, once it starts growing, so do the expenses. Luckily the income does, too. I find when I tell people how much I spend each month to keep the blog afloat, they're often surprised. I would have been too before I started blogging! After that, I've got some tips for fellow bloggers. October through the end of December is the busiest time of year for food bloggers. Everyone is searching for holiday recipes. There are Canadian Thanksgiving and Halloween in October, American Thanksgiving in November, and Christmas in December. It's a crazy time of year. It's also the time of year when some of our seasonal posts see a spike in traffic. I've got a few tips on updating old posts to make the most of the holiday traffic. If you've been following these income reports for any length of time, one thing you may have noticed is that the top 10 pages rarely change. Sometimes they shuffle positions, and occasionally a rouge page will sneak in there if it's been linked to by a high-traffic site, but more or less they hold steady. 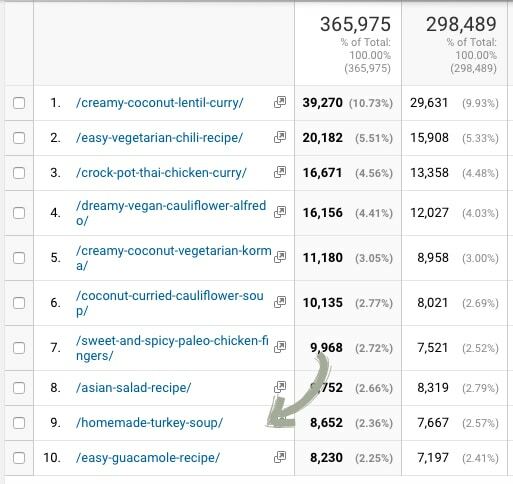 In September, that Homemade Turkey Soup post came in at the 63rd most popular post. Not exactly something to brag about. The major jump in popularity came because of Canadian Thanksgiving, which we celebrate on the second Sunday in October. I can be fairly certain that around American Thanksgiving and again around Christmas, that post will get another boost. 1. I added a link to the image on Pinterest. 2. Corrected a couple of typos. 4. Added two additional internal links. 5. Included the recipe in two new seasonal categories. 1. Review the post with an eye for SEO. I've written more about how to update your SEO here. You want your post to jump to the top of Google searches. 2. Consider updating the photos. 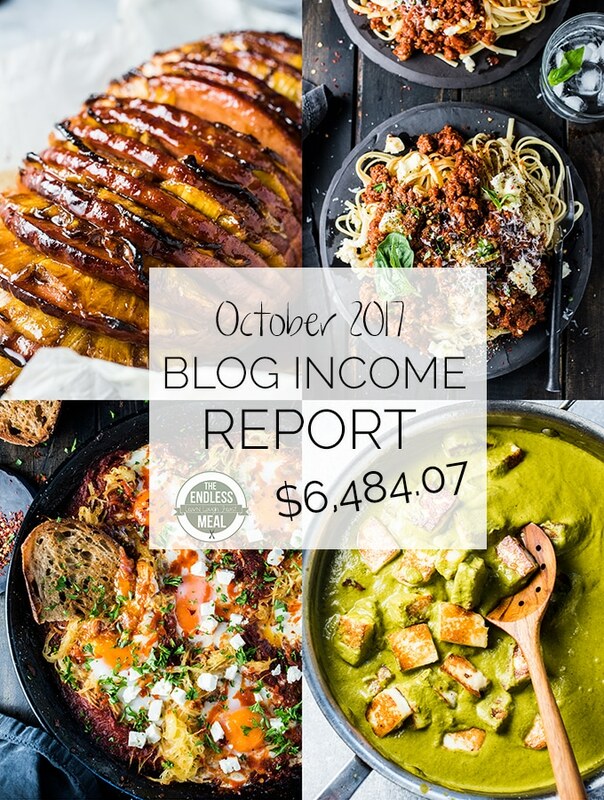 In an income report last year, I showed how many of my updated posts saw a huge spike in traffic. The homemade turkey soup recipe was one of them. You can see more here. 3. Make sure that the recipe is easy to follow, especially if it is an older post. If you're like me, your recipe writing skills have improved with time. Some of my oldest recipes are even hard for me to follow. Read your recipes as if you are making them for the first time and update anything that is not crystal clear. 5. Start promoting your seasonal content on social media. Thank you for all the great recipes and blog advice. and I had no idea you could make money doing this!! I specialise in Greek cuisine. I love Greek cuisine! You should really think about starting a blog and sharing your recipes online. I would love to see them! I love these reports, and it’s great to see how much you’ve grown this year! If I recall from previous reports, you get most of your traffic from Google, right? I’ve been working on SEO all year, but I guess my blog is only 2.5 years old, so it’ll probably take me a bit more time to increase my Google presence even more. Thank you so much! It’s exciting to see the growth for me too. I always find it so interesting to see where different blogs get their traffic from. It can really vary! I do make a point on really focusing on SEO on each post and I think that helps. You’re right that it also takes time to develop a presence on Google. It will happen! You are killing it! Good for you. I think you can hit 10k USD monthly sometime next year! I am curious about your sponsored posts.. How do you find people to pay you for sponsored posts or do they find you? Do you charge for that based on a flat rate or does it depend how much pageviews it generates? Does the cost cover the post for forever or it is a recurring rate? Thanks! Hopefully I can begin to implement sponsored posts on my website sometime, somehow. Thank you so much! It’s pretty exciting for me too! I find sponsored content in both ways. Companies will sometimes reach out to me, often asking if I want to try out their product for free. I let them know what my rates are and sometimes we agree to move forward. Other times, I get work through an intermediary company. In this case, a brand will hire a company to find bloggers for them. I belong to a few networks like that. (Food Bloggers of Canada/ Ahalogy Muse/ Influencer Central/ Tapinfluence/ More Media) And sometimes I reach out to brands myself and get work that way, too. I do have a flat rate that I charge, but it is not based on pageviews the post gets. It is a one time fee though. The rate is what I feel is fair based on the overall pageviews and social reach my blog has. I appreciate all of your insight SO MUCH! Tailwind is very tempting and the price is definitely reasonable. I’m hesitant as I don’t have much monetization yet. 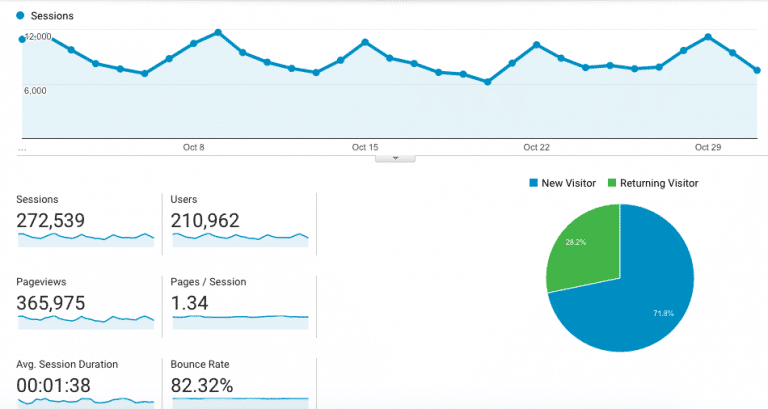 Did you see an uptick in traffic when you started using it? Cloudfare gets rave reviews out there. May be time for a change! General question, do you have a graph showing your daily traffic over the life of your blog (from its very beginning until now)? My traffic slllooowwwly and sttteeaadillly moves upward, but I’m curious if there was ever a large distinct uptick for you and what you think it was attributed to? And, finally, do you have a plugin you would recommend for displaying an ad at the bottom of the screen? To be totally honest, I haven’t been keeping a close eye on Pinterest/ Tailwind. It was beneficial to me as it really saves me times being able to schedule in advance. I don’t think I would pin at all if I couldn’t’ do that! Or not much, at least. If you’re looking to reduce your bandwidth or increase site speed/ security, Cloudflare is awesome. They have a free version which is more than enough if you want to try it out! As far as the traffic goes, it’s been a long, slow game for me. I don’t think there’s a way I can add an image here in the comment, but the graph is pretty slow and steady. Keep producing content and always try to improve what you do. The traffic will come if you persevere! AdThrive manages all my ads, so can’t recommend a plugin I use. But a quick Google search for Sticky Footer Ad Plugin returned a few that I think would be what you’re looking for! Hello Kristen, this is just so inspiring as I’m still hoping to start a blog and make this much money. However I have a question; I noticed you spent on Site ground and Cloudflare. I thought one could only use one hosting company in a month. Please can you help me understand? You are right, you can only have one hosting company. Siteground is my hosting company. Cloudflare is a little different. It’s a CDN – or Content Delivery Network. It basically allows the content on my site to be delivered to a reader faster. I’ve written quite a bit about how Cloudflare works in this income report. There are other security benefits to using Cloudflare, but I use them mainly to have a faster loading site. If you are just starting out with your blog, you could definitely start with Cloudflare’s free version. Until you start to get more traffic, I wouldn’t recommend paying for it. This is so awesome and very helpful!! Thank you so much for sharing!! Speaking of Pinterest, I’ve been missing you on the food photographer group board. ? I hope you have a wonderful holiday season! Funny you say that … I was just thinking that the other day! Since I started scheduling everything with Tailwind, I haven’t been posting to your board. I’ll change that!